​​​​​​ DALLAS – Florida-based investment firm Michaelson Real Estate Group LLC has purchased four multifamily properties totaling 692 units across North Texas for approximately $52.6 million. 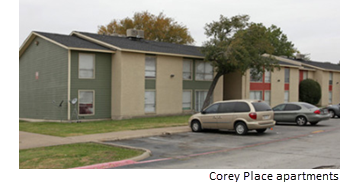 ​the 79-unit The Heights in Fort Worth ($5.7 million). With these acquisitions, Michaelson’s multifamily portfolio now includes more than 15,000 units. ​Check out ​Dallas-Fort Worth-Arlington Multifamily Market Research.